Really Tall Or Really Small? I’d say it’s a margin of 60/40. 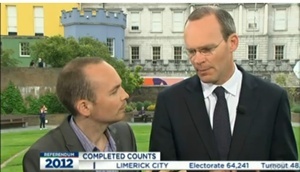 Paul Murphy MEP and Simon Coveney on de telly earlier. Posted in Misc and tagged fiscal treaty, height at 3:09 pm on June 1, 2012 by Broadsheet.